Staff file photo by TOM KING Nashua Silver Knights manager/VP of Player Personnel B.J. 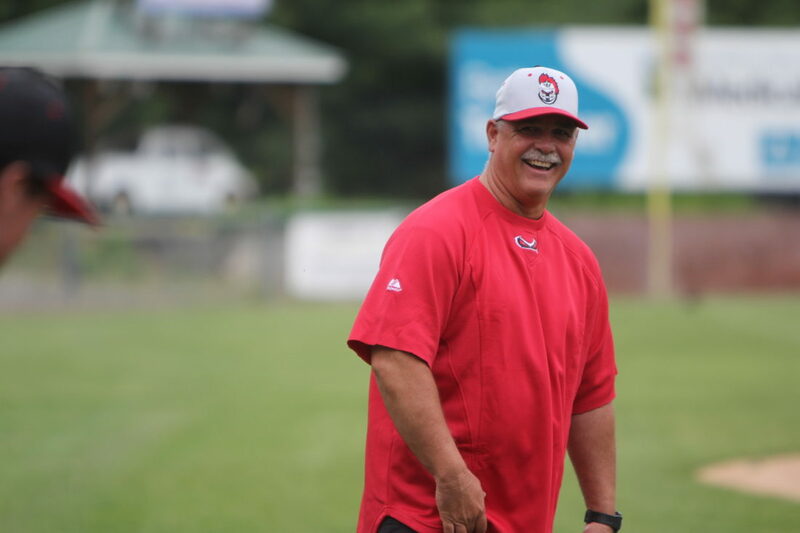 Neverett is one of four to be inducted into the Nashua Lions Club Holman Stadium Hall of Fame on July 4. NASHUA – It’s the Nashua Lions Club Holman Hall of Fame time, and this year a Nashua Silver Knight will be among the honorees. Nashua Silver Knights manager and VP of Player Personnel B.J. Neverett will be joined by three other worthy honorees for a scheduled July 4 induction at Holman Stadium: Former Nashua Parks-Recreation director June Caron, and former Nashua High School and Nashua Colts standouts George and Jim Tebbetts. Neverett, a former Nashua High School athlete, also has coached football as an assistant at Nashua and was a longtime head baseball coach at the unified Nashua and also Nashua South. He guided South to the Class L title in 2005, but stepped way from high school coaching seven years ago to focus on his Silver Knights duties. He’s managed the Knights to three Futures Collegiate League championships, including back-to-back titles in 2016-17. Caron, a current member of the Board of Alderman, is of course is a well-known figure when it comes to Nashua youth sports, having given 40-plus years of service to the Park-Recreation Department, and overseeing the use of Holman for the Nashua Babe Ruth League as well as several youth tournements and events over the years. George and Jim Tebbetts were outstanding football players at Nashua High School and also played for the semi-pro Nashua Colts at Holman Stadium. George was an outstanding lineman on one of Nashua High School’s best teams ever under legendary coach Buzz Harvey in 1959, and Jim was a former Nashua standout lineman as well, a co-captain on the 1962 high school team. The pair’s uncle is the late George “Birdie” Tebbetts, former catcher, manager, Major League executive and scout who was inducted in the NHIAA Hall of Fame in 2014 and an inaugural inductee to the Holman Hall of Fame in 2009. Caron and George Tebbets are also among the committee members organizing and planning the Holman Stadium 80th Birthday Celebration set for July 17.